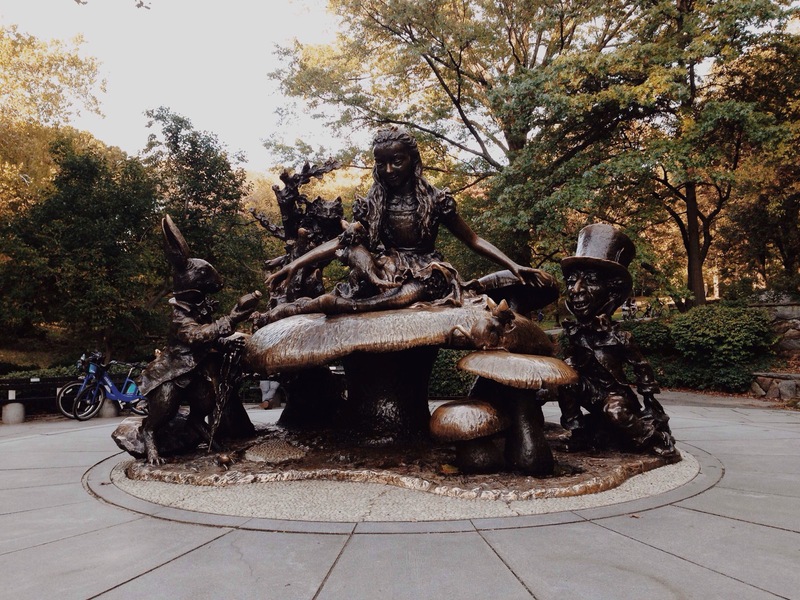 Nestled away in the heart of Central Park lies a big, bronze statue of Alice in Wonderland, with her friends the Mad Hatter, the dormouse, the White Rabbit, and the Cheshire Cat. This sculpture was designed by Hideo Sasaki and Fernando Texidor in 1959, and is designed so that children can climb up on it and sit in its nooks and crannies. A whimsical surprise in the middle of beautiful, lush parklands, it’s located in the middle-east section of the park, and is quite difficult to find if you’re approaching from above as it’s shielded by trees and shrubs. 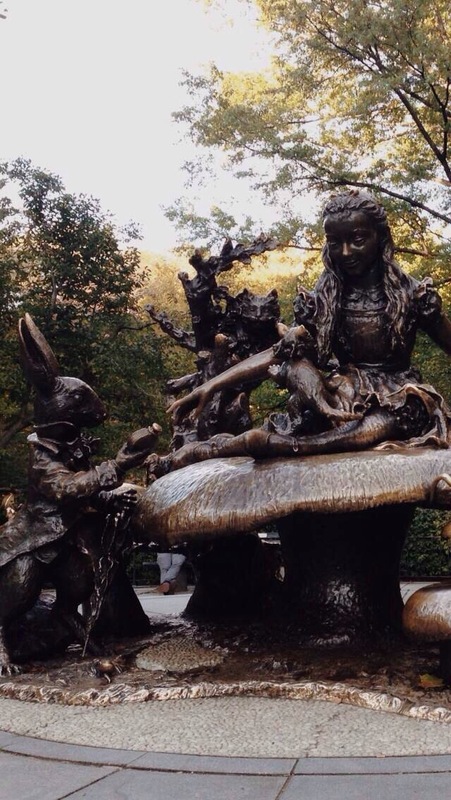 It’s located directly next to the Conservatory Water lake. This statue is pretty gorgeous in real life, with some parts being shone into a bright golden hue after being climbed on for such a long time. No wonder it was chosen to be one of the locations for the amazing dance film slash film-length music video, Girl Walk // All Day (2011). 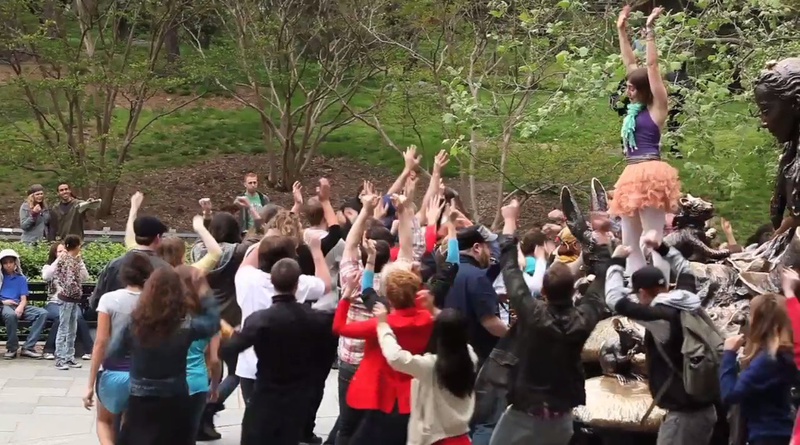 In the film, the Girl (played/danced by Anne Marsen) wants the whole city to dance with her, and the statue crops up towards the end in a really uplifting scene. Photos shot on iPhone 5. Hint for tomorrow’s photo: James investigated here. Great photos, glad to see your having fun. I automatically assumed the girl in the fluffy skirt was you. Are you telling me it isn’t you?? Unfortunately not! 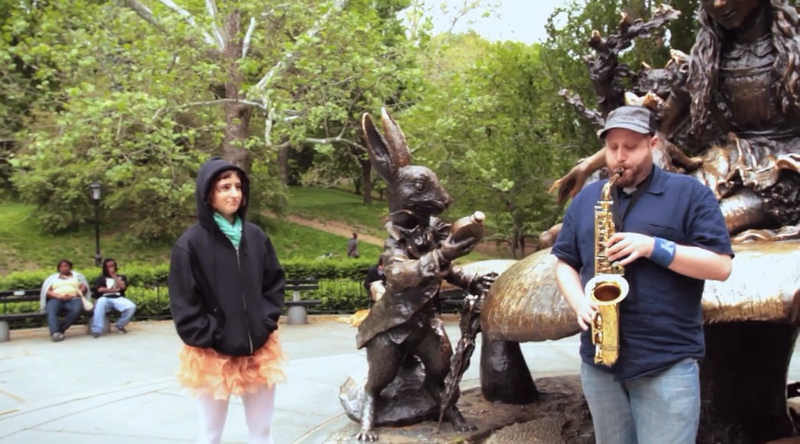 I wish I had the dancing skill of Anne Marsen though! Wow I had no idea something like this existed, this is gorgeous! 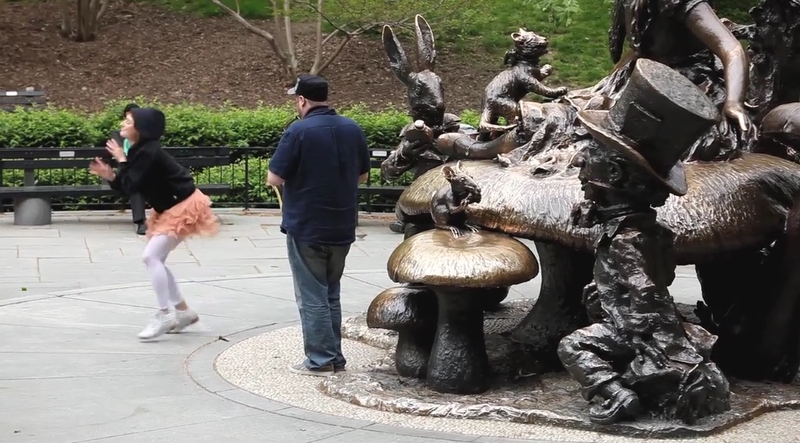 This is one of my fave places to visit in NY. So jealous, wish I was there! It’s such a lovely and whimsical place. And a total surprise compared to some of the other statues in the area! I know that one is just so beautiful! So cool! It looks gorgeous and think, I didn’t know it even existed. Girl Walk // All Day is fast going into my watchlist. I love that film so much, you have to see it! The music is amazing too.